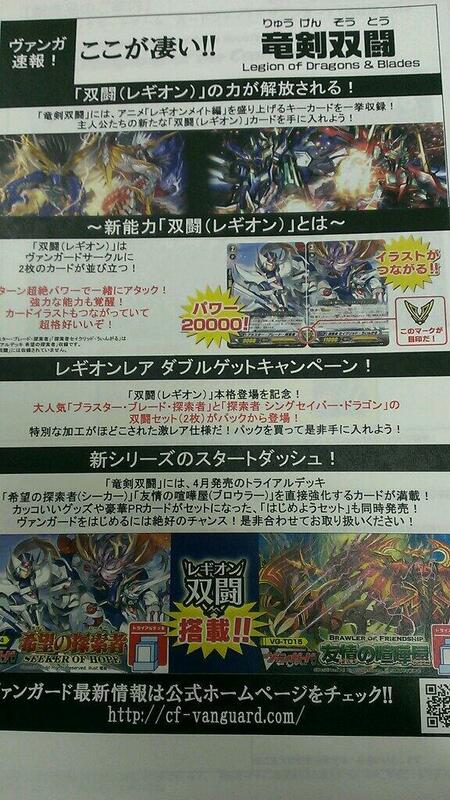 - TV Anime - Cardfight!! 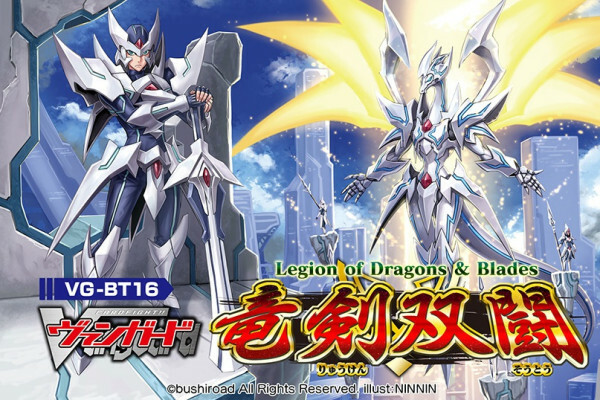 Vanguard -Legion Mate Arc- First Booster will be released. - Introducing further support for the new System "Legion". - Include key and strong cards used by Toshiki Kai and his friends from the Anime. Why would they not print more of the best clan? Because best clan hasn't had any support since BT-13. I'm talking about Angel Feather. Why didn't anyone say anything about Sin Saver Dragon? That thing is a thing. Super hype for D-Police and Neo Nectar. <3 Might get me back into the game more. Plot twist, Spike Brother's get the 2nd draw trigger they've been needing and we have tier 0 Spikes. 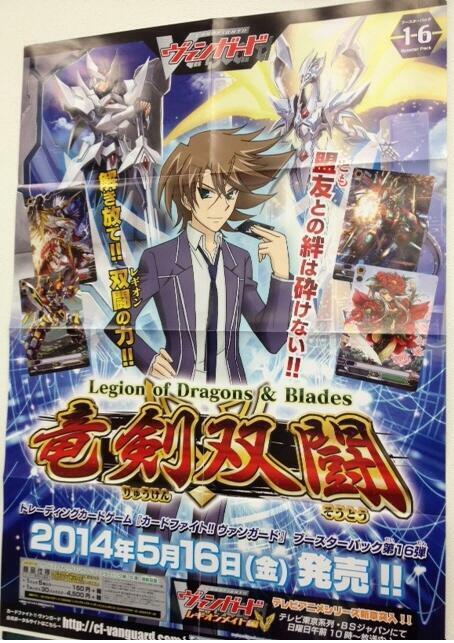 Seeker, Sing Saver Dragon and alternative Blaster Blade Seeker art Legion Rares confirmed.